First of all sorry for not updating the blog with latest contents and topics .The main reason of not publishing the new topics was that one of the writer of this blog named Mrinank Punj expired after suffering from Viral encephalitis . He was one of my best friends ,I was totally depressed after that and not had the courage to read and write .May God supports his family in this sad phase of life . To arrive and Depart is the part and parcel of life but leaving us at an early age just of 22 years ,is really bad and God must not have done this .He was the only child of his parents .So I request you all to kindly pray for him so that his soul can rest in peace . In nutshell from my point of view ,he was very honest ,generous ,hard working ,intelligent ...etc ,no words to explain his personality .I have not seen a personality like him in my small lifetime. There are still many such amazing,Unique and weird animals in this world which i am yet to discuss with you guys. Yeah,, Caterpillar can also be scary and Poisonous at the same time. It's Been Responsible for more than 500 lives in Brazil previous few years. People who were Poisoned by it just said that they touched something on Ground or Tree. And when that area was Surveyed for suspected creature, only this guy was found everywhere ( I dont think someone is trying to frame it). Yeah this guy Mr. stealthy Assassin..
Scientists have been Worried due to this caterpillar since in Previous 2000 years ,, there were no such reports about this guy.. but in previous 10 years something happened which made this small guy realize it's Power and now it's on rampage( OVERKILL ). But Chill, It's only found in Brazil and it has been listed as one of the most deadliest Creature on Earth.. If you visit Brazil be cautious or you may end up in Coma.. 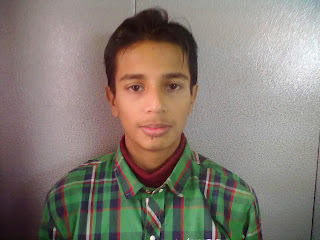 So, Meet Mr. Horror Wasp directly from Hell for you. 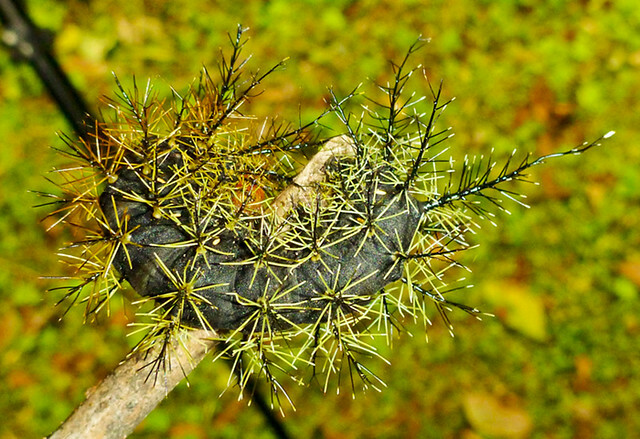 Discovered in 2011 in Indonesia, It Grows to 2.5 inches..(OMG,, Now, we need a big Roll to hit and kill this guy). 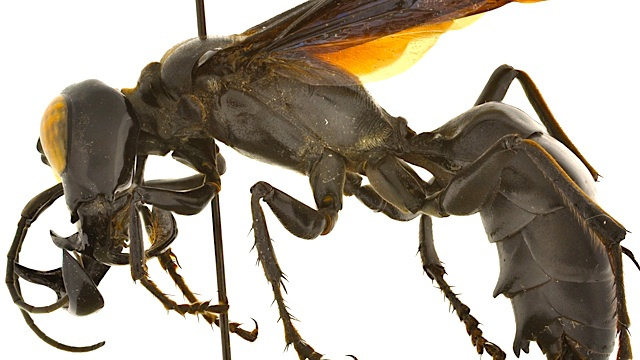 Also known as " warrior wasp" or "King of wasps". It's atleast twice of an average Wasp. 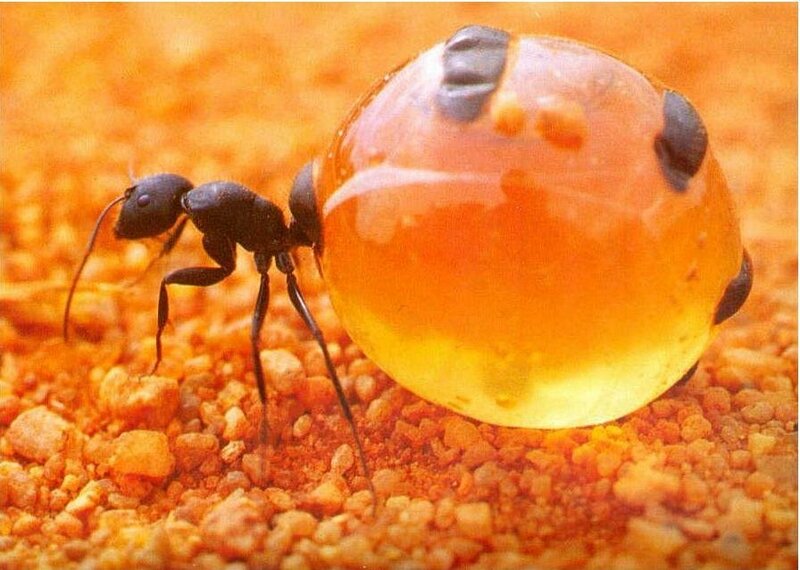 look at it's Pic and you will know how dangerous it can be..
Honeypot Ant ,, weird name for an ant,, eh?? Well no, they are named after their ability to carry huge amount of food and resources in their back. These ants act as warehouse for ants and their colonies. When Food is in excess ,, these ants are fed too much until their Backs elongate upto 10-20 times or larger and get filled by resources they want. These are so valuable for an ant colony that sometimes other colonies will attack an colony for these ants.. Atleast we humans dont have such living warehouses,, good for sure. Yeah you read it right, these are Saw-Shark( Saw + Shark = Overkill),, what an unique hellish mixture of saw and shark.. That's only thing Saw movie havent shown yet and now we have a shark on it's name. This guy has no need of a sword, it carries a sword as it's nose..(Pinocchio should also have learnt this art,, Nose Sword Fighting). 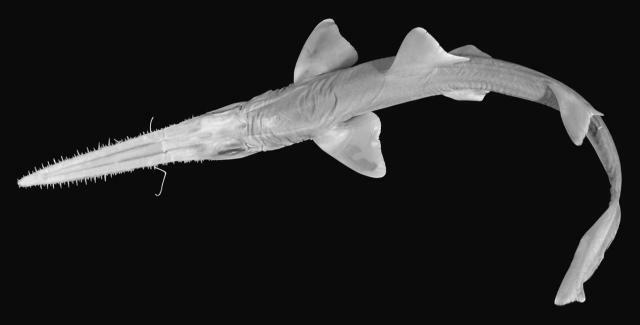 It's a type of African Dwarf Saw Shark (Pristiophorus nancyae) which hunts by his "NOSE". One funny thing about this guy is that it is always overconfident and thus ends up charging in school of Fishes blindly,, but thanks to it's nose, some fishes do get stuck on his nose. Puffer Fishes are some special type of fishes with whole body covered with thrones. One great thing about them is that these are more deadly after its death than during its life, since in many parts of world it's eaten very deliciously and in end , if not prepared with caution may turn out to be Poisonous. Well, These fishes are one from which even sharks stay away. Actually whenever it feels threat it puffs his body by swallowing huge amount of water which leads it's body to expand twice to thrice . It gives a warning by Puffing , " Yeah i am Dangerous , stay away or you will get stuck in thrones ",,eventually die since those thrones are Poisonous. Ok, So it's it.. I hope you guys Enjoy this new list of Amazing Animals ... Yeah I know, that I was late ( Late!! eh) with this Post. But I Promise One Post each week atleast..
T-shirts are typically made of cotton fibers (sometimes others), knitted together in a jersey stitch that gives a T-shirt its distinctive soft texture. The majority of modern T-shirts have a body that is made from a continuously woven tube, so the torso has no side seams. This is accomplished with special weaving machines called circular looms, which Produce seamless fabric for tube tops, stockings, and the like. Conventional stitching is used for the waist band, neck band, sleeves and to close the shoulders. The manufacture of T-shirts has become highly automated, and may include fabric cutting by laser or water jet. A Printed T-shirt is a T-shirt bearing a design, image or lettering on it. Various types of printed T-shirts exist. These printed T-shirts have been declared most selling fabricated clothes after a survey about them..